In the heart of downtown Canmore, Alberta. Owner and Chef Frank Barbaro opened the doors for the first time January 17th 1993. Frank Barbaro was born in Messina, Sicily in 1967. The family immigrated to Barrie, Ontario, Canada. As a young child, growing up in a typically large Italian family he was immersed in the Italian culture of food and family not necessarily in that order. 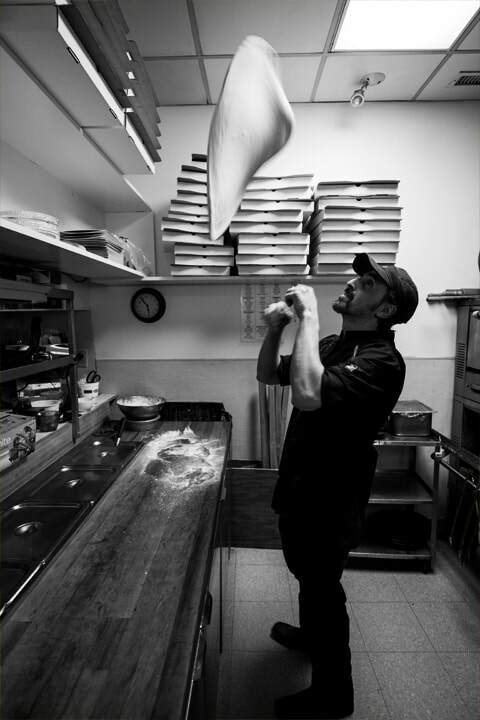 Frank started working weekends in his uncles' restaurant Pizzeria Itali in Barrie at the age of 12, here he would hone his skills over the next 12 years before coming out to Canmore to begin his dream of owning and running his own restaurant. Frank met his future wife Bonnie at the restaurant and since have started their own beautiful family with 3 children. In recent years Giuseppe Barbaro (Frank’s brother) has become a much valued member of the Santa Lucia team. For 25 years we have strived to bring exceptional quality and value to the Canmore dining scene by keeping a small family run and family friendly restaurant feel with affordable price, friendly service and great tasting authentic Italian food. In this ever fast paced changing world we live in we have tried to stay true to our roots of family and exceptional food. After all, a meal is more than just eating the food, it’s a place where you sit down & experience life.